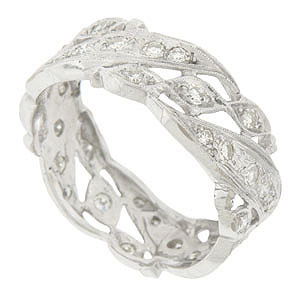 Twisting leaves and berries set with sparkling round faceted diamonds cover the face of this dazzling 14K white gold wedding band. The antique style wedding ring measures 8.91 mm in width. Size 13 1/4. Cannot be re-sized.